September 21, 2018 – New buses aren’t the only new thing coming to Metro. 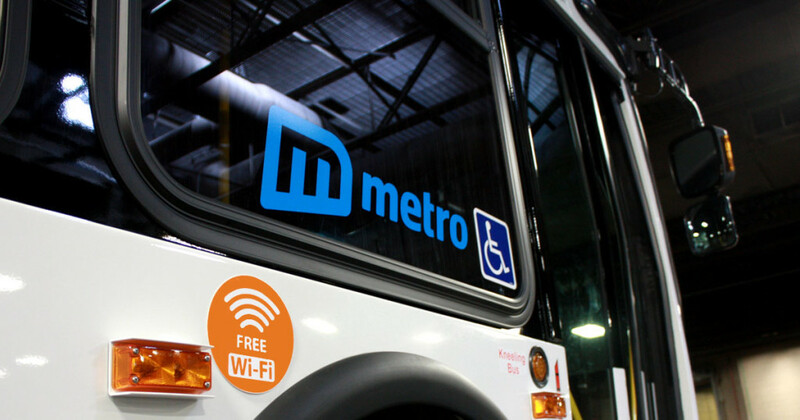 Free Wi-Fi will be available on Metro’s buses and paratransit vans starting next week. Vehicles equipped with Wi-Fi will be identified with orange “Free Wi-Fi” stickers near the front doors. Metro will activate the vehicles in phases, with all vehicles offering Wi-Fi by early next year. To access, riders will find the Wi-Fi signal in their device’s settings – stylized “Metro BusNumber” – and connect. Wi-Fi connection accompanies a variety of improvements from Metro, including new paratransit vans, new buses, new bus shelters, GPS tracking that will provide real time bus arrival information, a CNG fueling station, and ORBT, Omaha’s first rapid transit system.